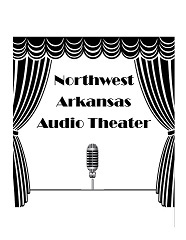 We are an audio theater....we don't care how you look or your age or your gender. Not important to us. Feel free to try out for any role...we have had girls playing guy parts and would be fine with guys playing girl parts. Happy New Year. The 2017 shows are before us. Hope you will consider auditioning or being a member of the audience. Pretty easy overall. You will be asked to read a part from the script. You may be asked to read for multiple parts, so feel free to show off the different voices you can make. Sometimes the scripts are available prior to auditions for you to review. Reviewing the scripts prior to auditions is NOT mandatory. We view Audio Theater as "Theater of the Mind". Our actors and sound effect wizards perform in front of microphones. The audience is invited to imagine the scene as we tell the story. In the 1930s and 1940s , nation-wide audiences listened to shows such as "The Shadow" or "Dragnet". Comedies, dramas, westerns were all performed. We try to recreate the experience that a live studio audience of the time might have enjoyed. Our first show was 'The Canterville Ghost'. Our second show was 'A Christmas Carol'.